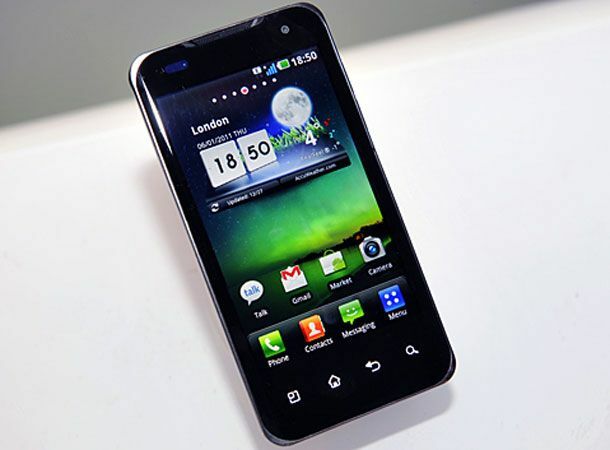 The world's first dual-core processor rocking mobile phone, the LG Optimus 2X, is to launch in the UK on March 18th priced £469.99, online retailer Play.com has revealed. Available to pre-order now ahead of its mid-March launch, the LG Optimus 2X will touch down as the first mobile handset to tout a dual-core processor, beating the recently announced Motorola Atrix and the upcoming Samsung Galaxy S 2 to the coveted punch. Unveiled at CES 2011 earlier this month the Optimus 2X will complement its dual-core credentials with a feast of high-end specs including a 4-inch WVGA touchscreen display, 8GB of inbuilt storage and full HD 1080p video recording and playback capabilities. Set to launch running Google's Android 2.2 mobile operating system, FroYo, the 2X, which has recently been spotted sporting a lighter-hued white shell, has already been confirmed to be on the receiving end of a 2.3, Gingerbread, innards update shortly after arrival. Which of the upcoming breed of dual-core smartphones tickle your fancy? Let us know via the T3 Twitter and Facebook feeds.